Ford Philippines reported that its first quarter (Q1) 2019 retail sales was at 5,560 units, a 13 percent decline from the same period last year when they registered 6,448 units sold. 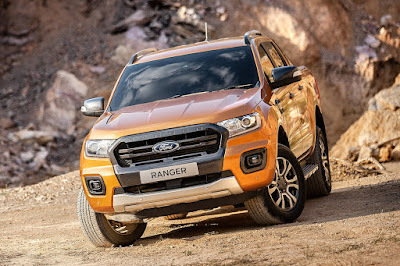 Helping prop up numbers is the Ranger pickup truck which saw sales rise 25 percent from the same quarter a year ago to 3,142 units (56 percent of Ford Philippines’s total sales). In March alone, sales rose 21 percent to 1,137 units. First quarter sales of the Everest midsized SUV reached 1,645 units while the EcoSport recorded 533 units, both down from a year ago (1,759 for the Everest and 1,842 for the EcoSport). All in all, Ford’s so-called “big three” accounted for 95 percent of its total sales, compared to 97 percent for the same period a year ago. The remaining 5 percent are made up of the Explorer, Mustang, and the rest of its local line-up.